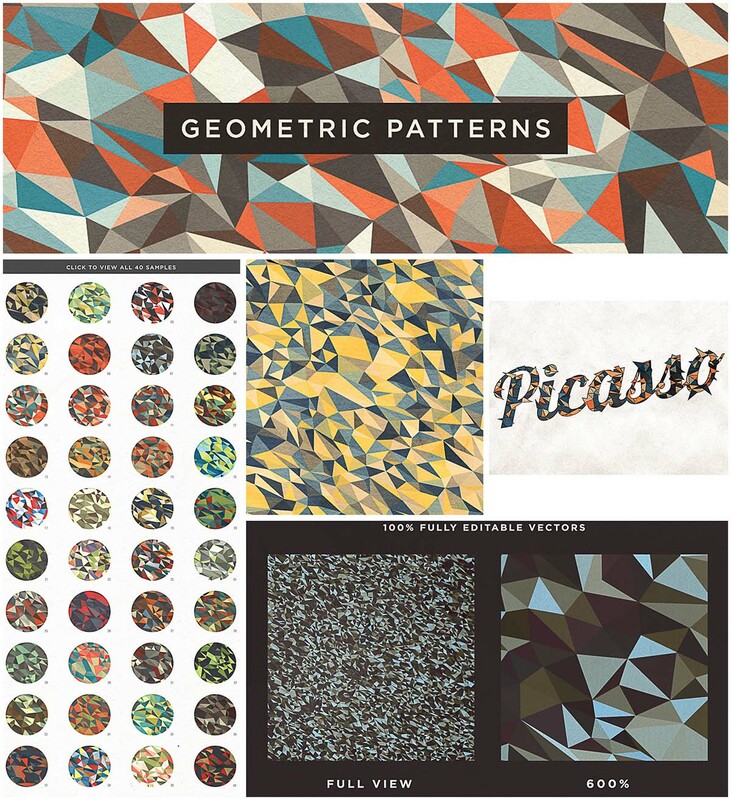 This fantastic collection of Cubist-style 40 patterns comes in a huge range of colour schemes from retro to modern. File format: .eps, .jpg for Photoshop or other vector software. 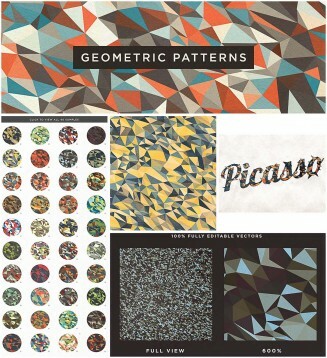 Tags: background, color, cubism, geometric, geometric pattern, lowpoly, pattern, retro, triangles, vintage.